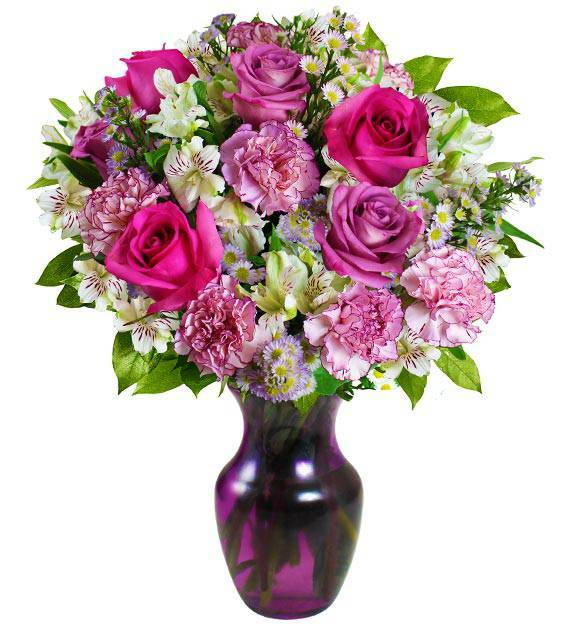 This arrangement will evoke an aura of regality for your recipient it's decadent color scheme. Hot pink and lavender roses in a bed of white alstroemeria, pink carnations and white monte casino come together in a bold, feminine statement. 04/14/2017 3:37PM sent to my queen lol— Herman E.
04/14/2017 3:36PM My mom and I both love this !— Amanda S.